To promote quality education in all the streams with a view to establish research units. To provide all amenities for the students, faculty members and staff by establishing both residential and non-residential institution. To create the opportunities for research and surveys on technical subjects. To create the opportunities to the students and faculty members to enhance their skills to interact with industry and globalize the opportunities by arranging guest lectures, seminars, conferences, symposia and workshops and thus enable them to mingle and exchange views with intelligentsia and elite of the society. To provide and extend facilities like libraries, book clubs all over the country. We at this Institution constantly strive to provide an excellent academic environment for the benefit of students and faculty so that they will acquire a technological competence synonymous with human dignity and values. We are dedicated to a continuous process of quality surveillance to enable upgrading our Academic performance and Managerial practices through infrastructural and technological facilities. This commitment, we believe, will enable us to provide updated knowledge-inputs and practical support to our students in order to built their confidence level high. Our commitment is to maintain here standards of discipline and decorum, of decency and dignity and character building are equaled by few and surpassed by none in contemporary educational systems. The College for Teacher Education lays special emphasis on providing the best infrastructure for learning on all its campuses. This Institute provides with spacious buildings to accommodate reception; office; class-rooms; staff-rooms; drawing halls; laboratories; libraries; computer lab; auditorium; conference halls; recreation centres for staff and students; sports rooms; canteens; separate hostel for boys and girls. 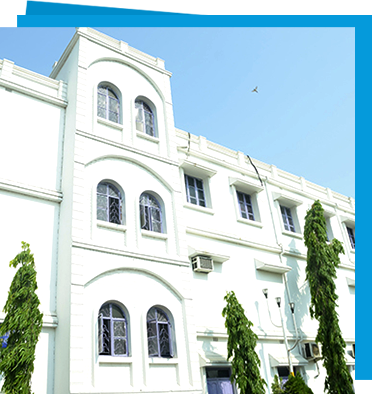 This Institute is situated in a pristine location and provides Santiniketan atmosphere for studies. A meaningful leisure time in one's co2llege life is the spent in Library. Library is the emple of learning as observed by our elders. Reading, Referring and Researching makes a person more knowledgeable.The college library offers a wide range of learning resources. Standard text books and books by wellknown authors are periodically added, and every effort is made to obtain all titles recommended by the faculty. Multiple copies of popular books are provided to make them available to as many students as possible.